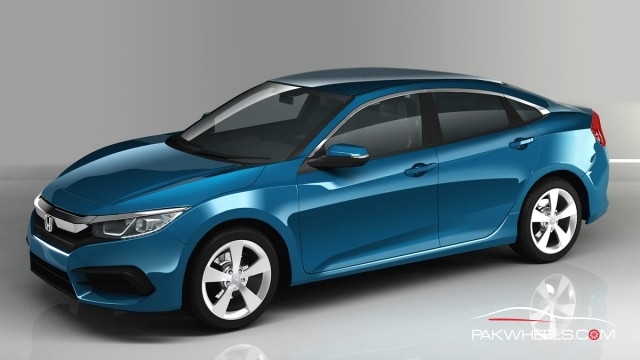 The 10th generation Honda Civic has been making appearances all over the internet for the past few days and it is believed the Japanese automaker will officially break cover of the 2016 Honda Civic in the fall of 2015. Following the global trend of downsizing the engines, Honda Motor Company has also introduced and confirmed a new 1.5-liter turbocharged powerplant for its upcoming Civic Sedan. The new 1.5-liter turbo engine will yield better fuel economy than the ongoing 1.8-liter naturally aspirated engine. Although, the official power ratings of the engine have not been released by Honda, but it is estimated that the 1.5-liter turbo engine will deliver a power output of around 150 horsepowers, which is more than the ongoing R18 engine. Rumour has it Honda Atlas is planning to launch the 10th generation Honda Civic in early 2017 and sources close to Honda informed PakWheels that the upcoming Civic will be powered by a new engine instead of the 1.8-liter N/A engine from the ongoing Civic. It doesn’t take much to put two and two together. Honda Global, on multiple occasions, mentioned the upcoming Civic will be a global platform to save on R&D and costs. Moreover, Honda does not have a new non-turbo 1.8-liter engine in its current lineup of new engines and it is highly unlikely Honda will develop a brand new engine for South Asian market, especially when the sales numbers are so low. It is also unlikely Honda Atlas will continue to use the 1.8 liter engine from ongoing Civic in the upcoming Civic for two reason, a) our source has confirmed Honda will use a newer engine and b) the R18 engine is not very fuel efficient according to modern standards. So we can safely assume, the upcoming Honda Civic in Pakistan will feature a 1.5-liter turbocharged engine. People from Honda Atlas read this blog, so let’s give them suggestions on the upcoming Civic in the comments section below and you never know they will listen to one of your suggestions and implement it since they are currently in the planning stage of 10th generation Honda Civic. I would like you to introduce at least 6 airbags in your upcoming Civic if that is not possible than at least increase them from the number 2. Please offer the top of the line variant with 16 inch wheels and 17s as an option. Increase the color range and please stop giving EuroStars with the Civic. Offer a bodykit with it. Please understand the phrase, “Value for money” and implement it in the upcoming Civic. PLEASE introduce VSA in the top of the line variant! In short, bring the car up to international standards. Please Please Please give us the Type – R version of the upcoming civic!!! I will gladly give you a deposit for the R if you guarantee that you will get it for me and it’s not just me I am sure you will easily be able to sell in the Hundreds if not Thousands. How hard can it be the basic chassis is the same as a normal civic only the engine and some components are different. Do you have what it takes to be a truly innovative company and bring in unique products to satisfy the niches in the market, or are you just another monopolistic corporation that does not give a flying F until your bottom line starts to dwindle? Be an APPLE not a NOKIA!!! They could as well bring in the 1.5-liter without the turbo. Reason being our market is not mature enough for turbo. The mechanics do not understand turbo neither do the owners. 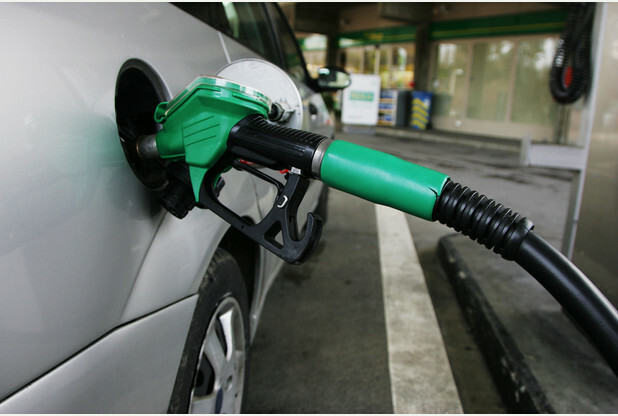 Counterfeit engine oil and poor fuel quality are real problems and a single oil change could end up ruining the turbo. With a turbo, the strong brand name would just turn into a “faaaiiil gaddi ay ji”. The 1.8-liter had more than enough power. People are used to mehran here and could not judge the power of the 1.8 which resulted in disastrous accidents. A 1.5L without turbo would still provide suitable power for highway overtaking etc. If Atlas decides to include the turbo, they can offer factory fitted turbo timer. It is not illegal in Pakistan and this way the turbos will have a long lifespan. It will help reduce the “faaill gaddi” factor. @Heder bhai: Khushi se mar na jatay agar Aeitbar hota ? Honda should launch New city this year. And plz focus on hard suspension . I dont think so that the BIG 3 will do something like that in pak. Wait 10 years then maybe we may get current tech when it would have become useless in other countries. thank honda that u r getting 2 airbags with some tech. i made the com cuz he wanted one in pak. We I dont know how Got a CVT in altis, now hearing about a turbo engine, no new city and hes asking a type R.
And america is wishing for the type R. Go read american webs and see for your self. And its coming now in America in 2018. U.S. Will get type r in 2017 or 16 along with the civic 5 dr UK model as they are going to make UK global production centre for civic. Why do you think its unrealistic? Like I said before the main difference between the regular civic and the R is the engine + gearbox. If i really wanted to do an engine swap myself I can get the drive train from abroad and get it done here but then the resale value is destroyed. If you dont believe me google FD2 Type R, considered by many to be the best of the breed. its the same shell as the reborn we had in pakiland. I have a reborn myself and I gotta tell you the chasssis is AMAZING! even with the Sh!t tires we get from the factory the turn is soo good I love it. Only wish it had that spine tingling 9000 RPM redline & 6 gears! U sure cuz new civic is completely designed in america. i dun think so. why would you NOT go to honda service centers where they will have trained technicians for the new engine? yes I like so many mehran drivers upgraded to civic after winning lotteries. Then we have crashed our civics because we couldn’t judge the power of the car. now i’m back to driving mehrans. /s people say the darnest things online. true, but we will go to our local technicians and ruin the car anyway. Getting the car and getting it repaired from the same company is ludicrous. heated seats, really? As if cars aren’t already hot in the sun, even in winters. I heard new shape will be launched in 2015 end?